Katrina Uy, Secretary - BUFSA: Mabuhay! 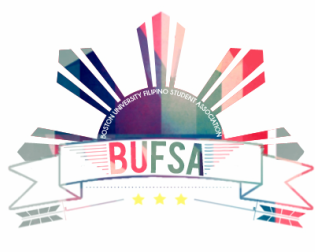 Favorite part about FSA: Dance practices for Kamayan/Isa, family dinners every week, and meeting people! Life goal: I’d LOVE to work for the Walt Disney Company one day, in a communications-related position. Also, to be fluent in at least two languages. Dream it, do it, Disney! Katrina Uy is a rising junior in COM studying journalism. In addition to BUFSA, Katrina writes for The Daily Free Press and will serve as its Blog Editor for Fall 2014. With all this writing, it makes sense that she’s Secretary, right? I guess. Last year she was one of the Productions Coordinators, which is appropriate because Katrina loves to dance! When she’s not stressing about school or that article she has yet to write, she can be found anywhere nuts aren’t (she’s allergic). Just ask Katrina about her brushes with death by peanuts. Then laugh.